In the presence of State Water Resources Minister Shri Devineni Uma Maheshwara Rao, the Water Resources Minister joined the TDP at the office of the District Water Resources Minister Narasimha Rao, the Vice-President of the K. Kododar Mandal and about 50 activists from various parties. All the people who come together for the development of the state are enthusiastically inviting the Chief Minister, Mr. Chandrababu, who is continuing to carry out the difficult state of the country, needs to be with us. 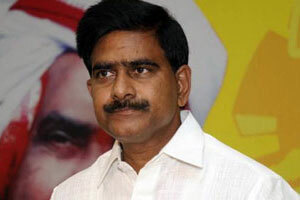 Those who joined the party were businessman Pazhara Nangaleleswarar Rao, Vinay Kumar, Raja, Venkateswara Rao, Yingugula Narendra, Ravi Babu, Jawwadi Sambasivava Rao, Tholleti Kondarreddi, Vaidur Narendra, Bhora Chandrasekhar and Small Ramesh Yadav. He said the members of the government, Chief Minister Nara Chandrababu Naidu and the MLAs and MLAs of the locality, had seen the developments in the development of the Umamaheswara Rao.